Today’s walk was for a great cause. I led (and joined in on) a one-mile walk as part of a special event. The event is called Wings for Hope, and it’s presented by Cancer Support Community of Central New Jersey. It’s held in honor of National Cancer Survivors Day and is meant to be a celebration for cancer survivors, an inspiration for people just beginning their cancer journey, a gathering of support for all those affected by cancer, and an outreach to the Central New Jersey community. CSC is the organization where I teach a weekly Wellness Workout, and I was happy to help with the event — and the walk in particular. 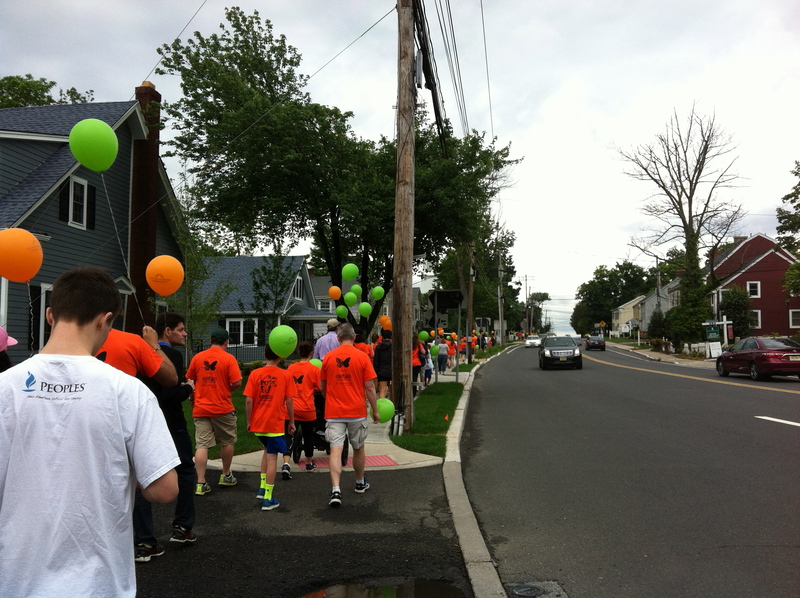 More than 100 people of all ages signed up to do the 1-mile loop near the organization’s office in Bedminster. Although the skies were gray, there was no rain. Congratulations to CSC for putting on such an inspirational event. This entry was posted in Today's walk and tagged Bedminster, cancer, Cancer Support Community, cancer walk, walk for a cause, walking by Walk With Joelle. Bookmark the permalink.